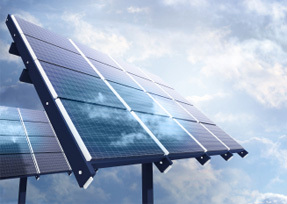 Photovoltaic cells, also called solar cells, are used to convert sunlight to electricity. Photovoltaic cells are usually made of layers of single crystal silicon attached by wire. The silicon has semi-conductors on each side. When sunlight hits the silicon, this automatically activates the movement of the electrons and generates electricity. Since photovoltaic cells do not generate much electricity as single entities, bundles of silicon layers can be bound together to form photovoltaic arrays. These are used for home and office appliances and lights, in addition to streetlights. They can also be used in remote geographical areas that do not have direct access to central power grids. What are the benefits of photovoltaic cells? They make use of sunlight, which is free, unlimited, and available almost everywhere. Their use does not involve any harmful emissions. Their use does not lead to noise pollution. Because there are no moving parts, little maintenance is needed. What are the disadvantages of photovoltaic cells? Electricity cannot be generated at night because of the lack of sunshine. The availability of solar energy is unpredictable as it is subject to the level of readily available electricity, which decreases on cloudy days when the sun's rays cannot reach the earth's surface. It requires a storage system and this poses challenges for logistical reasons and high costs. Some amount of pollution results from the production of the photovoltaic panels. The electricity created by two silicon layers in photovoltaic cells is small. This amount of energy is only adequate to power smaller items like a watch or calculator. Photovoltaic arrays are needed to generate electricity on a bigger scale, which increases costs. Finding the available land needed to produce a significant amount of energy through the solar panels can be challenging. Solar energy is more expensive than traditional sources of electricity because of the price of the materials used to make photovoltaic cells. The manufacture of single crystal silicon involves a slow and costly process.